Tampa iDoctors provide all Tampa iPhone 6 Plus repair services. It is also called iPhone 6plus repair or iPhone 6+ repair. The iphone 6+ has the following model numbers: A1522, A1524, A1593, . The iPhone 6+ comes in Silver, Gold & Grey. Tampa iDoctors provide all Tampa Cell Phone Repair Services and all iPhone 6 plus Repair, including iPhone 6plus Repair & iPhone 6+ Repair, no matter how its listed we repair it. Tampa iPhone 6 Plus Speaker Repair ~ The iPhone 6 Plus can provide up to 80 hours of audio playback on a single battery charge which is the same as the iphone 6. With this much audio and a world full of water causing iPhone water damage its no wonder that Tampa iDoctors offer iPhone speaker repair & replacement. Come in today to get your speaker fixed! Tampa iPhone 6 Plus Charging Port Repair ~ The iPhone 6 Plus has a lightning port to connect to a mac, PC, dock, mp3, charging station or power cord. With so many devices now accessing the same port, and between kids, pets & water there are many ways for you to damage your charging port. Come in today to get your iphone charging port repair completed! Tampa iPhone 6 Plus Battery replacement ~ The iPhone 6 Plus battery has an estimated up to 384 hours of standby time & up to 24 hours of talk time, and is replaceable. Come in today for a new battery! Tampa iPhone 6 Plus Camera Repair ~ The iPhone 6 Plus comes with a 8mp 1080p iSight rear camera, 1.2mp 720p facetime front camera. 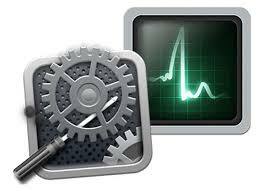 The Tampa iDoctors can provide either iphone camera repair or iphone camera replacement depending on your need. 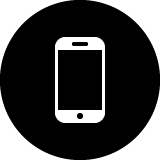 Tampa iDoctors do a free diagnosis to determine the exact time and price required for your iPhone 6 Plus Repair Service and if it is available for your model. Tampa iDoctors do provide iPhone 6 Plus camera repair & iPhone 6 Plus camera replacement. Bring your iPhone 6 Plus in today for a free diagnosis! Tampa iPhone 6 Plus Virus Repair ~ Despite what most people think yes an iPhone 6 plus can get a virus and yes they need virus repair. 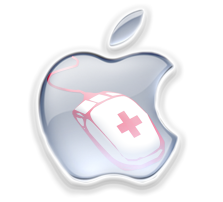 The majority of Apple virus repair & mac virus repair is more stealthy viruses like key stroke loggers as mac & apple viruses like to go unnoticed so they can steal your credit card info, identity and bank account information and even initiate bank transfers which appear to come from your iphone 6 plus! 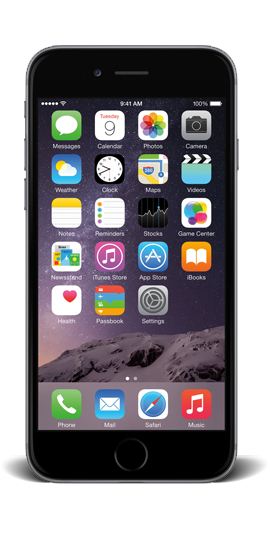 Tampa iDoctors can provide all forms of iPhone 6 plus virus repair. Tampa iPhone 6 Plus Data Recovery ~ Tampa iDoctors can recover data from your iPhone 6 Plus which can have either a 16, 64 or 128gb Hard drive. Bring your iPhone 6 Plus in today for a free diagnosis. Tampa iPhone 6 Plus Water Damage Repair ~ if your phone gets in water be sure to shut it off immediately, remove the battery if your able (removing the battery can be difficult) and bring it in. Your iPhone will NOT Dry on its own, rice alone will not dry it out and powering it on while wet will short the board potentially permanently damaging your iPhone 6 plus. Leave the iPhone 6 plus water damage repair to the professionals at Tampa iDoctors. Tampa iPhone 6 Plus Memory Upgrade ~ The iPhone 6 Plus originally comes with an 16, 64 or 128 GB storage drive that is upgradeable but will void the warranty. The Tampa IDoctors Not only offer all types of Cell phone repair, mac repair & Apple Repair but provide the following services which are often searched using the following terms: iPhone 6 Plus Repair services: iPhone 6 Plus Cell phone Repair, iPhone 6 Plus screen repair, iPhone 6 Plus screen replacement, iPhone 6 Plus battery replacement, iPhone 6 Plus smart-phone repair, iPhone 6 plus phone medic, iPhone 6 plus phone repair store near me, Cell phone repair store near me, & ... You Name it we have a Doctor for IT. 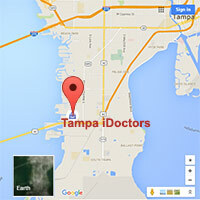 So when you look for Tampa iDoctors and your searching for Cell phone repair near me or searching iPhone repair near me think of Tampa iDoctors iPhone Repair Services. As we specialize in all Apple repair, iPhone repair, iPhone 6+ Repair, iPhone 6plus Repair & iPhone 6 Plus Repair.